We are an Order of angel practitioners who work hand in hand with the angelic-warriors and divine messengers. This is easy to do and anyone can acquire the skills to make angels a part of every aspect of your life. The Third Millennium just dawned on Jan 1, 2001. Biblical prophecy states that a “day of the Lord” is a code word for a thousand years to mankind (2 Peter 3:8). So we are at the dawning of the Third Day. The “dawn” part of this millennium may last for twenty years. The Third Day is the day Yeshua (Jesus) came back from the dead, from hell. It was the day of his “return.” Significant events will begin to happen, have already begun actually. The pace toward the modern Return will pick up as we enter this new Day of the Lord. The Angelic hosts are more active than ever, they join with us and frequently even show themselves to mankind. (This phenomenon is called “angelophany,” the manifestation in some tangible form of an angel among us). We have entered an age in which the angels and Archangels are being sent to us as messengers, guides, protectors, agents and even as partners to repair and save our troubled world. Their goal is to work with us, yes, but to bring about the illumination of humankind while they’re at it. While different in form and wielding awesome powers, the angelic beings were created by the same God in whose image we are made. 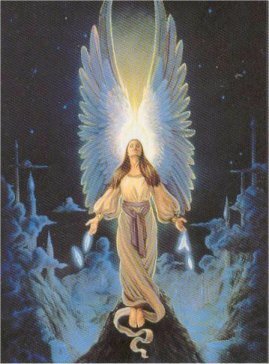 Interaction with and partnership with the angels is one of the many gifts prepared for those who dare to rise above material entanglement and accept their spiritual nature. A Call has been sent from the highest Heaven to those who are ready join their wills with Divinity and offer themselves as agents in the “battle” for salvation of our world and the enlightenment of humanity. Do you have ears enough to hear that Call and the will to enter into an alliance with the angelic hosts for the betterment of all humanity? Do not wait for us, we are here…all ready. There are many esoteric paths and methods of interacting with angels. However, most of these ancient occult systems are hard to master and don’t seem to apply to our modern experiences of angels among us. 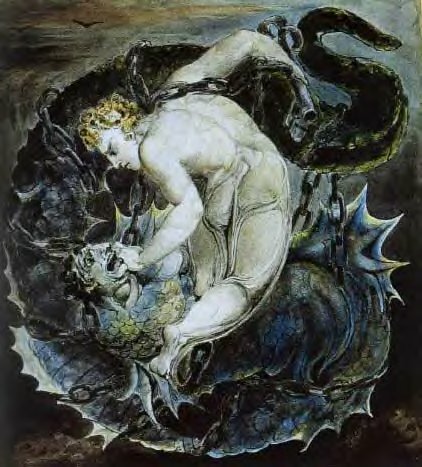 In their mission, angelic messengers reveal modernized methods of interaction, unity and transformation in addition to the older esoteric systems. We can enlist in the angelic army, we can become their partners, their allies. Let us join with the Hosts of Heaven and lift all of humanity into the bright energy that shines forth from the heart of God. 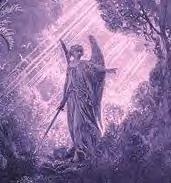 Join your creative will with the wisdom and power of the angels. Become an Agent of the Mission, take your place in the family of Divinity as is your birthright. You are kin of God and may take up the Charge of the Adonai Tsavaot (Lord of the Hosts, commander of the Angelic Armies and Legions). Take up the sword of discrimination. Cut boldly thru ignorance and untruths. Take up the shield of clean-heartedness. Protect the victimized and the innocent. Come, make alliance with the Legions of Light! Though you walk the earth, with us you take flight! If you have heard this Call, join others who share the mission. Sign up by filling out a Mystery School Application and let your sacred flight begin. And also please sign up to the Alliance’s communication list.